The prophetic book of Nahum is essentially a sequel to the book of Jonah. Both focus on the people of Nineveh. Jonas proclaims doom and destruction on them; they have a change of heart (repent); and God relents. A century or so later, they have forgotten all about that. This time Nahum proclaims doom and destruction; this time there is no change of heart; and history records that they are soon destroyed. The city of Nineveh is given a second chance, but they miss it—and they pay a heavy price. 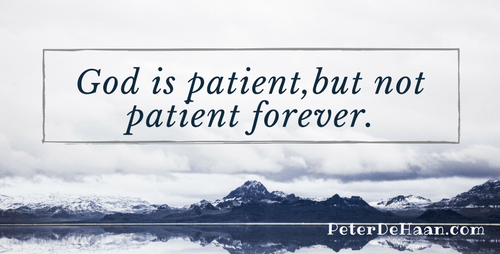 God is patient (Nahum 1:3), but not patient forever. If he gives us a second change, we’d better take it.